There’s always something happening in Banff, and the Bison Courtyard is right in the heart of the action. 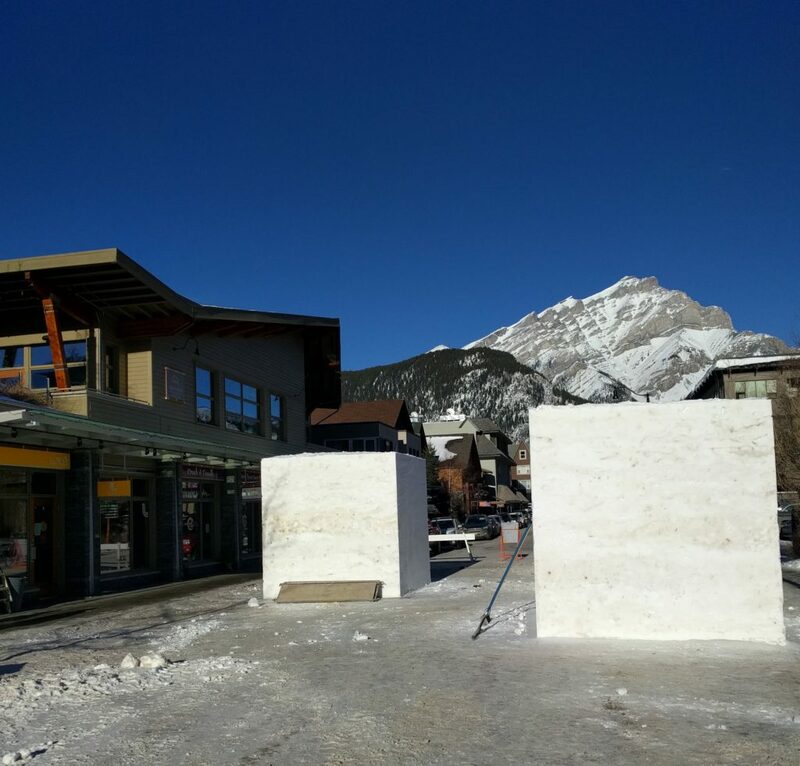 Preparations are under way to transform Bear Street into a winter wonderland as we celebrate SnowDays in Banff National Park. 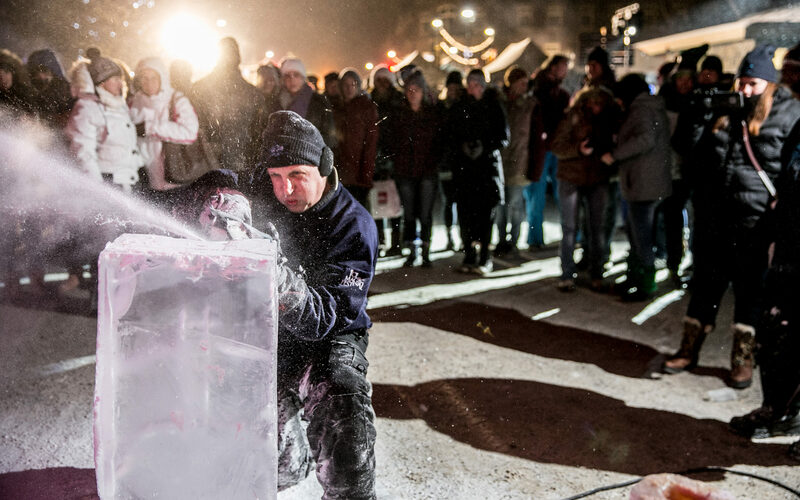 The festival area, located just outside the Bison Courtyard, will host six stunning ice sculptures. 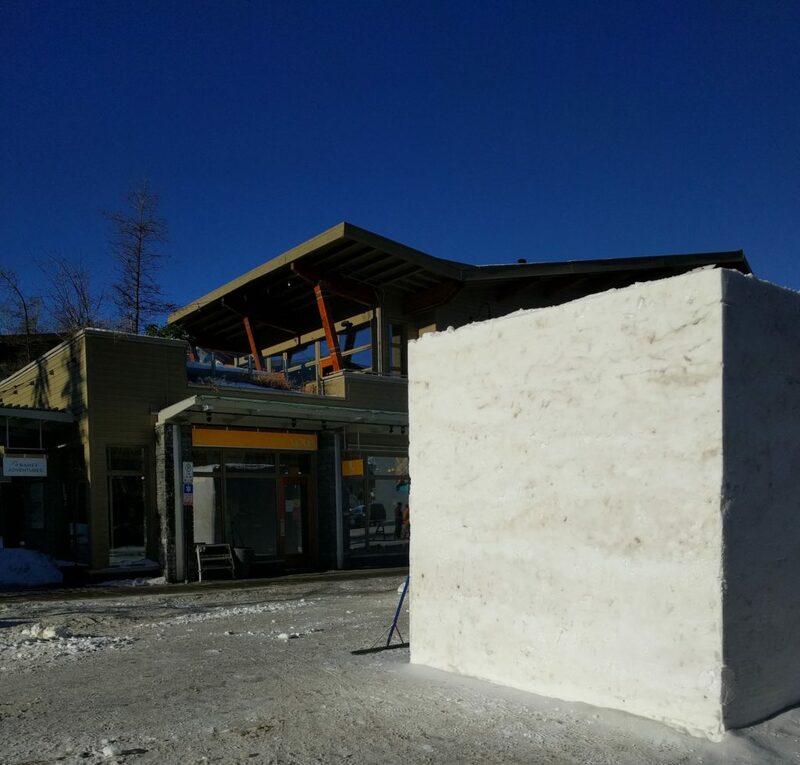 On this beautiful sunny day in the Rockies, the giant blocks of ice have arrived and are being put in position, ready to be transformed in the hands of the talented sculptors. They’ll be putting the finishing touches on their creations at the celebration this Saturday, January 20th. 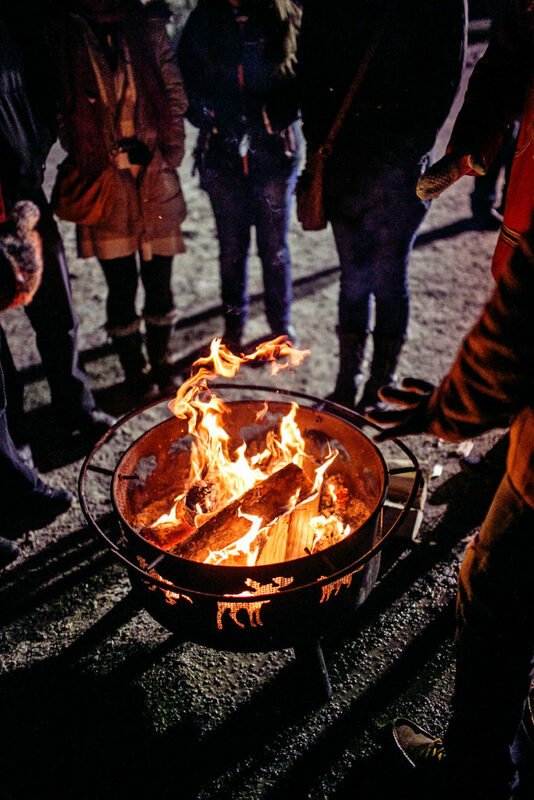 Join the party on Bear Street from 6 – 9 PM for tunes from DJ Hunnicutt and DJ Co-op, with bonfires to keep us all toasty while we dance! If all that excitement makes you hungry, stop in at Nourish Bistro or The Bear Street Tavern for some quality eats. Or grab a hot drink and a snack from the Wild Flour Bakery, who will be opening from 6 – 9 PM specially for the evening event. If you can’t make it on Saturday night, SnowDays 2018 is running until January 28th, so you’ve plenty of time to check out the sculptures on Bear Street and Banff Avenue, plus the Ice Magic Festival in Lake Louise.